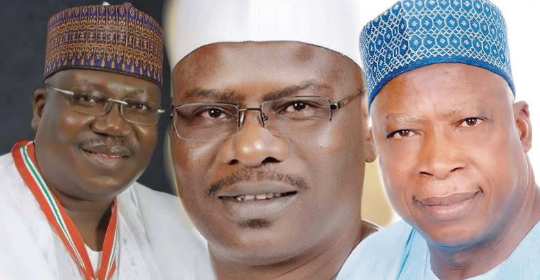 The leadership of the APC are suspecting Senate President Bukola Saraki as the person behind Ali Ndume, Borno state senator's decision to reject the party's endorsed candidate for Senate President. APC deputy spokesman, Yekini Nabena, has insisted that the party’s decision on the selection and zoning of principal officers for the incoming 9th National Assembly is supreme. Nabena stated this while speaking with newsmen on Wednesday in Abuja. He said that the party’s decision must be respected by its legislative caucus and opposition lawmakers in the National Assembly. 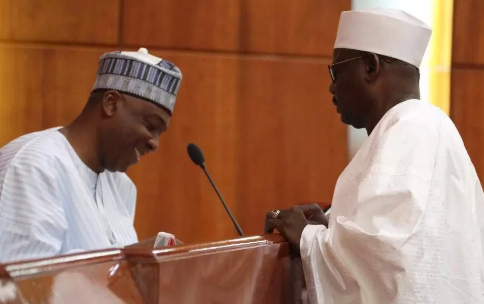 He, therefore, called on Saraki and Speaker of the House of Representatives, Yakubu Dogara to steer clear of the leadership in both legislative chambers. “The APC has learnt its lesson from the outgoing National Assembly when impostors masquerading as party men sabotaged our party and hijacked our mandate; affliction shall not rise up the second time."